We only have two cards, two weeks, revealed in this poker game called fantasy football. Be careful jumping off a cliff micro-analyzing your own players after two whole weeks. Some things going on in the NFL/FF are real, a trend and other things are a blip…an opponent-driven moment and we’ve only seen two ‘moments’ for each so far. It’s like the Baltimore Ravens – just because they humiliated the Bills in Week 1, didn’t mean they were an NFL top defense and playoff threat…as witnessed by their getting dominated by the Bengals the following week. What teams do against Buffalo and Arizona shouldn’t even matter because neither team is a real NFL team…they are an embarrassment to football. Conversely, what happens against the Rams or St. Patrick Mahomes should not be held against the teams/defenses facing them. We should be in the panic business – just the other side of the trade. We should be taking advantage of the panickers. Any team 0-2 in your league is in a full-fledged panic, per usual. To them, everything that happened two weeks in a row is absolute reality for the next 15 weeks. We need to sell off our blip players and acquire talent THEY are panicking on. Fortunately, most FFM-based teams are 2-0 or a strong 1-1. Not as many 0-2 starts like we had last year that we had to rally from. If you are 0-2, do not fall for the panic. You win next week, you go to 1-2 and are either tied for a playoff spot or 1 game out with only 10+ weeks to go. Don’t panic. Play it smart. 0-2 and 2-0 teams should have same mindset right now – ‘buy low’, ‘sell high’. In our darkest hour in FFM history, last season Weeks 1-5, when the injuries mounted, and it seemed bleak…we stayed the course and we wound up, many, sneaking into the playoffs at the end and peaking at the right time – all from a disastrous start. Many chapters of this book to read. Let’s keep reading and keep our wits about us – with the goal of robbing the weak for our own benefit. -- Another week, another Alvin Kamara (13-46-0, 6-53-0/6) under 4.0 yards per carry…and this time the offense struggled against the Browns. He’s a PPR-god on his targets, as a runner…’meh’. -- Michael Thomas (12-89-2/13) has become the Keenan Allen on steroids for fantasy – he’s getting all the key work. The Saints look silly/ineffective when they are not throwing to Thomas or dumping to Kamara. The door is opening for Cameron Meredith, when he’s ready…opening for him to start for the Saints, but for fantasy he won’t matter much because he won’t have the relationship with Brees that Thomas/Kamara do. -- How about the Browns-DST? They’ve held Big Ben and Drew Brees to 21 points or less each game and doing it to Ben with a full OT period (and rain). Darnold-Carr-Flacco the next three weeks? It’s a legit DST1 consideration the next three weeks, especially against Sam Darnold. -- The Josh Allen (18-33- for 245 yards, 1 TD/2 INT) as starter ‘debut’ was about what I expected – a cluster. Not as terrible as Nathan Peterman, but you can see Allen is not ready…and part of the problem is the surrounding offense is dreadful. The Bills only hope for a win this season is if they change the schedule and put Arizona on it at Buffalo in December. -- LeSean McCoy (9-39-0, 4-29-0/4) is the leader of the going nowhere zombie offense. Before you bail on McCoy, consider he’s a likely trade candidate. There’s no way the Bills keep him next year ($11M pay, $2M to cut), and with the legal stuff hanging over their heads, and the Bills going nowhere – you could see McCoy dumped for next to nothing in the next few weeks. McCoy to SF? To undefeated TB? To BAL or CIN? It would instantly revitalize his ice cold/dead value right now. Kelvin Benjamin may not be far behind McCoy in the makeover in 2018. Marcus Murphy is out snapping Chris Ivory every week as the McCoy takeover with his rib’s issue. -- Austin Ekeler (11-77-0, 3-21-0/3) has 12.0 touches (carries + catches) per game through two weeks. Granted, the Chargers have played two of the worst defenses in football out of the gates (KC and BUF). They get the Rams Week 3. Still not sure if this can be counted on or just things to do when moving the ball with ease. -- Patrick Mahomes (23-28 for 326 yards, 6 TDs/0 INT) gets another layup vs. the 49ers next week, and then he’ll be tested – @ DEN, JAC, @ NE Weeks 4-6. If you want to sell your soul for Mahomes, now, because you waited too long to draft him/trade for him before the season or you didn’t sell your soul last week per instructions…then your soul is not enough to get St.P this week – so, wait until like after Week 5 and see the price comes back down. It’s about your only hope. Try to get him, see if anyone is thinking they’re ‘selling high’, but the price is going to be crazy this week. -- James Conner (8-17-1, 5-48-0/5) came back to earth this week, but mostly because this game was 21-0 KC before the Steelers knew what hit them and it was an all pass comeback attempt. When Conner did slip back in, he got hurt on his TD and missed some snaps the rest of the way. This was more about the game flow than anything Conner did or didn’t do. -- Kareem Hunt (18-75-0, 1-5-1/1) had another ‘shoulder shrug’ game. Not because anything is wrong with him or Spencer Ware (1-3-0) made any type of move. It’s that Mahomes doesn’t need a running game…and throws for TDs, doesn’t need the 1-yard plunge for one. -- I went big on Marlon Mack (10-34-0, 1-2-0/2) this week, looking for touches, and I didn’t get what I wanted and got my hand caught in the cookie jar. Mack started, looked OK, but there was little blocking all game (Colts without 2 OLs) and Jordan Wilkins (10-61-0, 2-3-0/2) was working late to ice the clock/game. I still believe Mack is ‘the guy’ and that they didn’t overload him upon his return, and he’ll get more work from here but that’s just a hunch; we’ve yet to see it in reality. The Colts talked a big game about featuring him, so I maintain hope more touches are coming his way and not an RBBC. -- Chris Thompson (4-1-0, 13-92-0-14) just continues his RB1 (in PPR) ways. Every team has ‘their guy’. For the Colts it’s T.Y. Hilton. For the Redskins it is clearly Chris Thompson. It’s not game situations/score with him – he’s a key part of what they do. He tends to trade as a ‘I don’t believe this will hold up’ RB2-2.5…I’m a buyer because he’s a PPR RB1. -- 18 tackles for rookie Darius Leonard, now 13.5 tackles per game after two weeks. The hot streak is likely to continue as teams tend to have the time of possession advantage over Indy, and are running much more plays than normal against the Colts-D.
-- There are not many QBs to want your DST to play against anymore with confidence…Blake Bortles looked like Tom Brady in Week 2 and Ryan Fitzpatrick looks like Dan Marino. Sam Darnold (25-41 for 334 yards, 1 TD/2 INTs) is the rare beast you want to face for your opposing DST. Arguably, the worst starting QB in the NFL right now (he and Sam Bradford). -- Quincy Enunwa (7-92-0/11) is ‘the guy’…a nice follow up this week from his great game in Week 1. No one else is close on the Jets. He’s a nice fit with dump passing Darnold. All very sad for fantasy, but shocking that Grant is keeping his nose in the middle of it. DeVante Parker comes back and likely changes the game – affecting Wilson the most, I’d guess. -- Zach Ertz (11-94-0/13) returns to prominence…Dallas Goedert registered no stats. The demise of Ertz had been exaggerated (by me) this week. -- How Ryan Fitzpatrick (27-33 for 402 yards, 4 TDs/1 INT) goes from random struggling journeyman/failed starter QB for the past several years to league MVP candidate without a running game against two high-end playoff teams – I have no idea. I dismissed him Week 1. Now, I must to dig in with more tape time and see what H is happening. This makes no sense. This win HAS to mean Jameis Winston is not walking back into that starting job. -- O.J. Howard (3-96-1/4) had a big game, statistically, but it came off one big 75-yard TD…a simple catch and run and the Eagles stood and watched him run past them. Two targets last week, just four targets this week. Hard to get too excited, but there’s not much else among the TE1 class to look at. -- As suspected, the Atlanta offense looks much better, faster with Tevin Coleman (16-107-0, 4-18-0/4) running as the lead…as it always does. The second Devonta Freeman can go, they will jam him right back into the lead role and Tevin on the shelf. However, I think Freeman is way more injured than being reported – I think he’ll be out for several weeks and possible they just have him get surgery/call it a season. I’m not sure on that, I’m just getting that feeling by the talk around Atlanta…which makes Tevin a hotter commodity for FF. 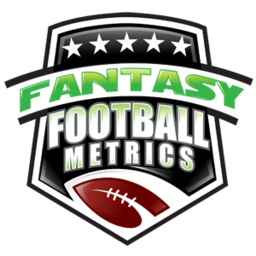 -- Mohammed Sanu (2-19-0/2) is averaging 3.0 catches for 18.5 yards and 0.0 TDs per game on 4.0 targets per game – he’s lost any fantasy heartbeat in this offense. -- D.J. Moore (1-51-1/2) had a 51-yard catch and run TD…not a sign of a pending breakout. It was a simple pass catch and then he raced straight ahead past defenders for the score. It just kinda happened…it wasn’t like ‘wow’. -- Deshaun Watson (22-32 for 310 yards, 2 TDs/1 INT, 5-44-0) is losing a little luster every week he plays. He’s falling back to properly valued – low-end QB1, not ‘top QB in fantasy’. While the mainstream chased Watson-Wentz, we chased Garoppolo-Mahomes-Goff – and that was the proper call. -- I’m not fighting Will Fuller (8-113-1/9) anymore. He just keeps having good fantasy games more times than not. I think he’s more Ted Ginn…random WR2-3 in talent, but he keeps pushing WR1.5-2.0 numbers more than not. -- Honestly, Corey Davis (5-55-0/7) looks like a total zero to me…a very dull ‘#1’ WR for his team. The Titans have a terrible offense and Davis is used in a boring manner. He’s not as good as advertised. -- Never bet against Aaron Rodgers (30-42 for 281 yards, 1 TD/0 INT). I took a week off from him to be safe, but he never looked uncomfortable to me. It’s game back on with Adams-Cobb-Graham from here. -- Dalvin Cook (10-38-0, 3-52-0/5) doesn’t look very good to me, never has. So far this season – 26 carries for 78 yards rushing…3.0 yards per carry. -- Bright kicking prospect, high draft pick kicker Daniel Carlson (0/3 FGs) blew this game for the Vikings. The first time he missed an FG in the preseason, Mike Zimmer was already playing mind games with him…and then dissed him after the game in the press. I blame Zimmer’s mouth for this loss/issue with the kicker (and all the kicker’s he is destroying), somewhat. He’ll likely cut Carlson this week. Watch to see where he lands to see if he gets himself back together. -- I wasn’t thrilled with what I saw from Jimmy Garoppolo (18-26 for 206 yards, 2 TDs/0 INT) last week and he was not great this week either. He’s going OK/good this season, but great is rarely flashing. This may change when Marquise Goodwin gets back, but I’m not happy with what I see – the protection is terrible and Jimmy is falling away on too many throws. Mahomes is obviously working better, but so is Jared Goff. Jimmy G. is struggling…this offense looks borderline terrible. -- Nice follow-up performance from Kenny Golladay (6-89-1/9)…he’s a for-sure WR2 with WR1 and WR3 weeks randomly. He’s arrived ton ‘consistency’, I think. -- Kerryon Johnson (8-43-0, 5-23-0/6) is going to be the starter any day now. The Lions offense is failing, as far as their initial plan…they rack yards in deficits/heavy throwing, but their normal plan of Blount/Riddick isn’t getting it done. Kerryon showed a spark in this game. He’ll be the 1st and 2nd-down guy soon. -- Sony Michel (10-34-0, 1-7-0/2) made his debut and it looked about as exciting as Nick Chubb…i.e. not exciting/tentative/ineffective. I want to study this tape, but man…is there something wrong with Georgia RBs from 2017? -- Keelan Cole (7-116-1/8) became a star today…I’m not sure Jacksonville will fully give into that, but Cole put on a show. He’s Antonio Brown reincarnated. This game was the moment I was waiting for – Cole has seized the moment. He’s the Jags #1 WR for sure. -- I went heavy New England DST this week…and they reward that by giving up 31 points to Blake Bortles without Leonard Fournette. We’ll see what sleeper DST I come up with next week that will give up 30+ in Week 3. This was an embarrassment on all fronts for New England, but they usually bounce back from these types of things quick. DET-MIA-IND ahead should/will soothe…but then KC-CHI after that might hurt. -- I’m shocked… Denver went heavy with 190-pound RB Philip Lindsay (14-107-0, 1-4-0/1) and went limited on professional RB Royce Freeman (8-28-1, 0-0-0/1). Sounds about right for Vance Joseph…always going with the wrong RBs with the wrong mix. This cannot keep up…they use Lindsay that much and he’s going to get hurt/worn-out. He’s not built for this. -- Amari Cooper (10-116-0/10) seized the #1 targeted WR role…leaving Jordy Nelson (2-30-0/4) in the dust. This Oakland offense looks like a mess, I’m moving on. Jordy may rally back as ‘the guy’, but probably without me., I thought he’d take that role – instead Amari is getting heavy targets and Martavis Bryant is somehow back. -- Demaryius Thomas (5-18-0/11) had several drops in this game, but it’s not likely to bounce him from the starting lineup at all. Courtland Sutton (1-9-0/6) didn’t do much to get noticed in this game either. -- Like I was saying about Dallas emerging as a mini-Jacksonville… 6.0 sacks of Eli and pretty much held them out of the end zone until some garbage late. SEA-DET-HOU the next 3 weeks are three of the worst OLs in football. The Dallas D is legit. -- I bet you were crying about Evan Engram (7-67-1/7) going into the 4th-quarter of this game, right? Patience grasshopper. -- Saquon Barkley (11-28-0, 14-79-0/16) had another weak rushing effort…and then became Eli’s favorite receiver to cash in on a huge FF scoring day (in PPR). Why can’t Arizona figure this out with David Johnson anymore? 1) David Johnson, ARI – The Cardinals look terrible and DJ isn’t living up to his preseason draft status. If this were Ezekiel Elliott or Saquon Barkley or Dalvin Cook…THEY would have the patience of Job. But, because THEY inherently don’t trust DJ as a top RB (nor Tyreek as a top WR), THEY will sell. The price? RB1.5-2.0 today. We don’t want to pay retail. We want a five-finger discount. Johnson will either be a solid RB2 stuck in this garbage offense…OR the Cards turn to Rosen, which opens up the offense a bit and DJ can start getting back to normal. 2016 DJ may not exist this year, but if it does – it’s with Rosen. 2) Marquise Goodwin, SF – Goodwin’s high crime is someone wailed into his leg in the 1st-quarter of Week 1. Out of sight, out of mind. You like what you see with Brandin Cooks + Goff? Goodwin should be similar for Jimmy G. People were even dropping Goodwin in 10-team leagues Sunday morning. The price is a WR2 at the highest, but I see WR2.5 valuations in some places. 3) Chris Thompson, WAS – There are 3-4-5 RBs each week that get the garbage time 6+ catches and get people all excited (Riddick, Ekeler, Allen, etc. )…and then they go back to normal/dull the following week. All these RBs get painted into the box…RB3s in PPR, useful but not incredibly valuable. Chris Thompson is the king of these RBs…everyone, typically, sees him as a complimentary pass game RB…but he’s Alvin Kamara with less TDs…the focal point of the offense. He trades like an RB2-2.5-3.0 but he’s a PPR RB1. The perfect add to your backfield. One of the best buy lows in fantasy…and usually available easier than you think. People don’t trust him – they think they’re ‘selling high’ to you. 4) Leonard Fournette, JAC -- Let the panic and frustration of a Week 1 ‘hammy’ lead you to a cheap deal. RB2 valuation in redraft. The panic is high right now. He’s a name people have turned on, so you might steal him. 5) Jack Doyle/George Kittle – There’s a tight end shortage/crisis, like usual, and I hearken back to everyone who fights me on taking two top TEs in the redraft to make sure you have one every year, hopefully two so you can trade one, etc. No one cares…they blow past a second TE chasing the exciting rookie RB 10th+ round, that never works out early, and now here they are scrambling and crying about their TE. Two guys who have situations that can/will thrust them into top fantasy TE discussions…but had terrible Weeks 2s, so people will move on from them – are these two guys. The #2 option for their QB on both their teams. Have a TE issue…there are the discount guys to target. 1) Phillip Lindsay, DEN – Looks like the #1 RB for Denver, but it won’t hold up. PERFECT guy to sell to the ‘I got RB problems’ person, because everyone has got RB problems. No one is ever happy. He trades like an RB2 +/-. If you could flip Lindsay for Chris Thompson, you’re a genius. 2) Kareem Hunt, KC – KC is a passing team now, so Hunt’s rushing role is somewhat limited. Spencer Ware lurks. Hunt is going to be fine, but his perception is ‘strong’ RB1 when it’s more weak RB1/RB2. His last 14 games have been mostly not great. His name has value with THEM. You could turn Hunt into DJ or DJ+stuff right now in some cases. Don’t underestimate the love for Hunt that lurks in people’s hearts because Matthew Berry pushes it and has ever since he ‘discovered him’ after Week 1 last season. 3) James Conner, PIT – Conner is just an RB2 talent. Nothing special. Living off good touches and ‘the Steelers brand’ and just being in the news. Every week of play is another step closer to something changing the game (Bell back, Samuels starts getting touches). He’s an RB2 valuation. You don’t have to blow him out, but I’d keep trying to move him as part of a package for fallen angels like DJ and Fournette right now. Or Chris Thompson + something strong/sweet (in PPR) for Conner + trinket. 4) Phillip Rivers, LAC – Faced the Chiefs and the Bills…possibly the two worst pass defenses in the NFL. Rams this week bring him back to earth. 5) DeSean Jackson, TB – Every time it looks like DeSean Jackson is ‘back’, he gets hurts. Just 4.5 targets per game but 3 TDs so far. THEY inherently love DJax always. 1) Keelan Cole, JAC – Keelan became a star Week 2 of 2018. I still don’t know what that means on the Jags or for consistency, but he is the Jags #1 WR, Bortles’ best option. A star was born/not the movie, this week. 2) Kenny Golladay, DET – Becoming an FF-star. A good WR on a really bad team = perfect garbage time guy on top of being really good. 3) Gio Bernard, CIN – He will take 90%+ of the touches, probably 100%, because Marvin Lewis loves him like Jay Gruden loves Chris Thompson. A must have for Mixon owners right now. Mark Walton?…you’ve gotta be kidding me. 4) Kerryon Johnson, DET – Will be the main carry guy for the Lions any week now. He’s ‘OK’, as a talent, but you’re going to like the touches. 5) Marcus Murphy, BUF – As I’ve been saying for weeks, Murphy is the guy to replace McCoy. It’s like a split with Ivory and the Bills are awful so it’s all pretty meaningless, but Murphy is at least drawing a split. Out snapped Ivory 23-7 Week 1, 23-9 Week 2. ‍6) Javorius Allen, BAL – Already splitting with Alex Collins, and getting the best FF work. Nothing is going to change that for a while. 1) Mark Walton, CIN – I’m hearing his name so much as ‘sneaky’ to bolt past Gio in the Bengals time of need. Not going to happen. Gio gets 90%+ of the touches and his threat is Tre Carson, not Walton. 2) Antonio Callaway, CLE – The next Browns WR who will get in trouble/falter/disappoint, etc. Josh Gordon being gone opens up what? Gordon got 3 targets and 1 catch in Week 1 on an OT game!!! 3) Aaron Jones, GB – I don’t care that he’s coming back…all GB RBs are about useless for FF. 4) Ito Smith, ATL – Not ready for prime-time. Not going to be Devonta Freeman 2.0. ‍5) Jesse James, PIT – He does this…has a big game, and then disappears. Vance McDonald is back putting further pressure on it. I know you’re TE desperate, but this is desperate…understandable, but desperate. 1) Christian Kirk, ARI – The Cardinals will soon turn to Josh Rosen and Kirk will elevate to starter as well (with or without Rosen) and become a PPR impact player. Kirk is better to own for FF than Michael Gallup. 2) Taywan Taylor, TEN – Got a chance finally, and made a great play/TD. He’s too good to keep on the bench, even though Mike Vrabel is the coaching equivalent to a box of rocks…he’ll even figure this out. 3) Jakeem Grant, MIA – The Dolphins leader in WR targets through 2 games. The most explosive playmaker on their roster…and he’s getting touches/noticed. 4) Hayden Hurst, BAL – Just thinking ahead for those with TE issues. He’s still like 2-3-4 weeks away. ‍5) Curtis Samuel, CAR – Not even practicing yet, but when he does…it’s on. The Panthers’ best WR. But when does he come back/could he miss the season? 1) Allen Hurns, DAL – The Cowboys big WR free agent grab is barely noticeable in the offense. 2) Mike Gesicki, MIA – He’s becoming a joke. 3) Jameis Winston, TB – Some people had Winston and then discovered the FFM site. No good, long-term FFM’er would have touched Winston, ever. If you think Winston is returning to the lineup…guess again. 4) Ty Montgomery, GB – If any week was going to be the week – it was Week 2 with Rodgers needing check down help. Ty did little/nothing. His name will not cross my fingertips again. 5) Jaylen Samuels, PIT – I think his day will come but it’s nowhere in sight right now. Stevan Ridley is getting a few touches and Samuels is a ghost. I still believe we will hear from him, but in redraft this clever Yahoo RB/TE is dead for now.